ColdFusion Builder comes with number of code assistance features and one which is really useful and handy is the code assist for included files. This feature will display the hints for the variables, methods, structures, and queries results etc., which are defined in a page to the included page. Code formatting is always a handy tool to make our codes aligned with tabs for better readability. ColdFusion Builder by default includes a HTML Tidy Code Formatter which does the formatting of HTML codes perfectly. We can use this feature in HTML files by right clicking on the editor and selecting the "Run HTML Tidy". ColdFusion Builder is also joins the Family of Free RIA Tools from Adobe. After the release of ColdFusion Builder 1.0 version adobe makes it's free for Education purposes. More details can be available at https://freeriatools.adobe.com/cfbuilder/. ColdFusion Builder Rocks! Long awaited ColdFusion Builder finally hits the Adobe stores today. After crossing its 3 beta stages ColdFusion Builder have been significantly improved in performance. 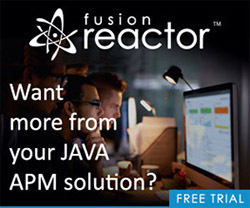 I've been using it from the Beta 1 to Beta 3 and in between private alphas and I don't think I will be comfortable with any other IDE for ColdFusion development. My all time favorite feature in ColdFusion Builder is developing Extensions using ColdFusion itself which is really an amazing one. The Chennai ColdFusion User Group is hosting its ColdFusion Builder Special Event on coming March 30, 2010. In this Event Dipanwita Sarkar from Adobe ColdFusion Builder team will be demonstrating the awesome new features, extension and some insight into the future of ColdFusion Builder. This is an amazing opportunity to all of us to know more about the ColdFusion Builder IDE from the ColdFusion Builder team itself. This will be an Adobe Connect Meeting and more details are available at the Chennai ColdFusion User Group site. DZone just released the ColdFusion Builder Reference card was written by Adobe Platform Evangelist Terrence Ryan. This is a second Refcard from DZone followed by ColdFusion 9 Reference card which was released on August 2009 written by Terrence Ryan. Auto closing of tags is always a great feature to have in our ColdFusion pages. ColdFusion Builder bring us some more additional options on enabling and disabling the Auto-close tags feature like in the below image and we can set this auto-close feature by selecting Preferences > ColdFusion > Editor Profiles > Editor >Typing.